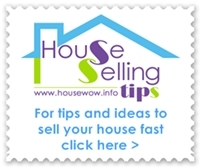 Property search - looking for a house and how to find a house with advice about effective online searches and property Search Agent. A thorough property online and offline search strategy is vital. There are different methods to conduct your property search and find your dream house. You can use a combination of methods of search including using online property search to your best advantage, register with Estate Agents and do a local search of your preferred area. Consider using a Property Search Agent if your property search is at a distance or in an area that you are not familiar with. The support of a person with local knowledge and existing relationships with Estate Agents could be very beneficial in saving you time and money in the long run. Consider the benefits of putting together a buyers pack so that you are as prepared as possible for your property search and know exactly what your priorities are for your ideal home. Have a hit list, be focussed - and don't waste time viewing houses too way over your budget, away from transport links to your work, family friends etc. And if a large kitchen is on your priority list or a separate downstairs room for entertaining or a study then make sure that if it doesn't already exist there is space and option to make it happen by building, extending or removing walls. Searching online for property for sale makes it is easy to check the asking property price and compare what you can afford to your wish list! The property searches are usually very user friendly and you can search by a set criteria such as location post code, numbers of bedrooms and price. You can see 90% of UK property for sale with floor plans, room images and property descriptions at Rightmove.co.uk, Find a Property and Prime Location. Estate Agents are listed with contact details in order to arrange a suitable viewing appointment for your shortlist of preferred properties. Take your buyers wish list along as a focussed checklist so that you are not too influenced by other factors. For a click-able list of online property search portals check the useful links section. Looking for a house in a local area? A local property search benefits from getting out onto the streets and familiarising yourself with alternative areas to try and identify which properties match up closest to your buyers list. Driving around and checking streets that you haven't visited before will be an eye opener. You will see for sale boards for property you may not have noticed online before. Getting a feel for the area, the local amenities, restaurants, nearest grocery store, parks and public transport will be valuable research when looking for a house. Visit three or four estate agents in each patch. Talk to them about your search brief and which issues you're trying to balance out. Ask their advice and when you've collated sufficient info on pro's and con's together with realities of the housing stock and prices you'll be able to make an informed decision about where to concentrate your search. If you want a new house then searching the new house category on rightmove will make finding the ideal house all the easier. View show homes and compare builders for your type of property. There are many offers available from builders and developers for first time buyers looking for a home. These offers include cash for legal fees, FirstBuy scheme with help to the deposit and more.